Following my post on Cardinal Sarah, reconciliation and the lectionary, Peter Kwasniewski kindly sent me a scan of his article “The Reform of the Lectionary” which was published in Liturgy in the Twenty-First Century. At first, I thought of simply summarising some of the main points but it occurred to me that several principles were important and worthy of further discussion, so I will look at some in due course. He affirms that what we may call the doxological purpose is primary. This question determines any subsequent discussion of what passages are chosen, how they are distributed, and how they are treated in the sacred Liturgy. Conversely, changes to the manner of presentation of those passages give a strong clue to the underlying attitude to scripture at Mass. 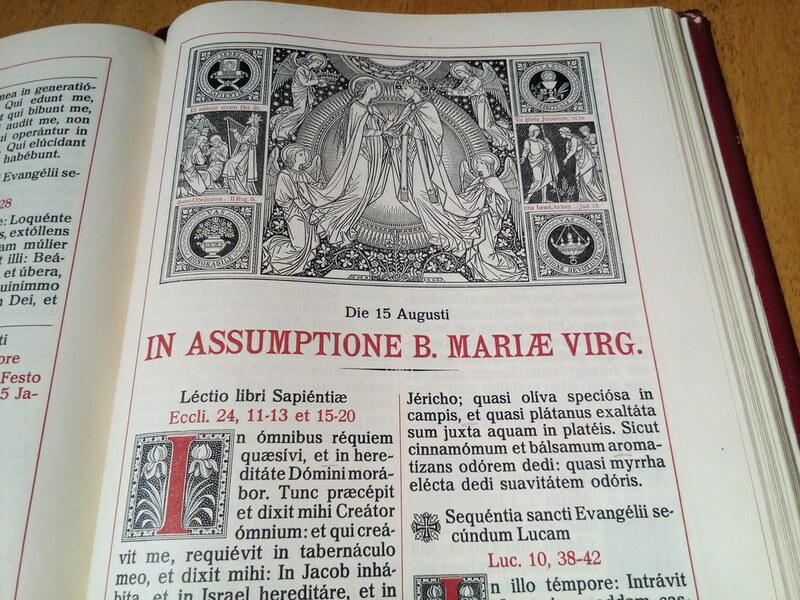 For example, shortly before the second Vatican Council (on 24 July 1961) the Sacred Congregation of Rites ruled that the subdeacon was allowed to face the people when chanting the epistle at High Mass. This was an innovation that became embedded into the modern rite of Mass, (an option not often used in celebrations of the usus antiquior.) Nowadays, if the minister in the modern rite, lay or cleric, were to read the “first reading” facing the altar, it would probably be thought “rude” such is the complete loss of any sense of the scriptures being proclaimed primarily to give glory to God. When readers go on a course, they are often sent by their parish priest who wants to improve on “A reading from the letter of St Paul to the Philippines” followed by a mumbled rendition with mistakes in phrasing, and poor delivery. The aim is to give the scriptures more life, more meaning, so that the people in the pews can approach the liturgist's ideal, and listen without their missalettes, understanding everything. One indicator is the common instruction to make eye contact, as one might do when delivering a speech or lecture. I was told by a student in Rome a few years ago, that the papal MC instructed them not to attempt to make eye contact since that was a distraction from what they were doing in proclaiming a sacred text. That recognises a deeper purpose to the scripture reading than delivering an instructional passage for didactic purposes. If we are giving glory to God by what we are solemnly saying or chanting, why would we feel the need to look at anyone else, and why would anyone else think that we should look at them? Cardinal Sarah’s well-meant and sincere proposal for a lectionary shared by the two forms of the Roman Rite has been helpful in bringing these questions to the fore. The usus antiquior, by preserving the rituals associated with the epistle and gospel, has also preserved the possibility of recovering the idea that the scriptures at Mass do not have a primarily instructional purpose but are an integral part of a ritual that is totally focussed on the worship of God. That doxological focus is itself instructional for people of every language, of every level of academic ability, and of every social class, transcending any verbal attempt at teaching or explaining.We really need to settle the question of what the liturgical proclamation of the scriptures is for before ever embarking on any attempt to devise a shared lectionary.